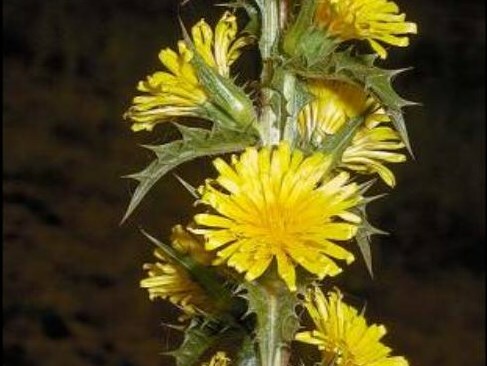 Scolymus hispanicus (goldenthistle) is a herb/ (family Asteraceae) with yellow flowers and spiny narrow leaves found in the central western ranges of California. It is native to Europe. It grows in grasslands. It propagates by seed. The spiny seed heads can get caught in wool, carried by wind and spread by agricultural equipment.